Being the retirement state means Florida has the highest number of elder care facilities of any state. It is important to find a facility that will care for our loved ones in the same manner that we would care for them ourselves if we could. Depending on the level of care that is needed dictates what type of facility someone is placed in. It is also important that as the level of care needed changes that our loved ones are transferred to a new facility that can meet their needs. For those needing only staff on stand-by in case they are needed an Independent Living Facility (ILF) may provide a safe alternative to living truly alone. For those requiring occasional supervision an Assisted Living Facility (ALF) may be the solution. For those requiring total assistance with the activities of daily living and constant nursing care a nursing home or Skilled Nursing Facility (SNF) will be required. Choosing the correct type of facility is just as important as choosing the facility itself. Each facility has its own set of admission requirements and its own set of rules as to the level of care that can be provided. Many of these facilities provide excellent care, however, far too many do not. Often understaffed with underpaid and poorly trained employees, many health care facilities push the bottom line so far that they endanger the lives of their patients. Many times problems arise when a facility can no longer meet the needs of a particular resident but fails to have them transferred to a different facility that can provide the higher level of care. The Florida Agency for Health Care Administration is the division of the state responsible with licensing health care practitioners and health care facilities. 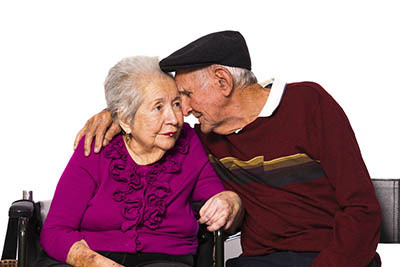 AHCA’s website is a great place to start when looking for an elder care facility. They offer a Nursing Home Guide which lists nursing homes by region and county. The Guide also includes facility-specific comparative information including a star ranking based upon deficiencies cited during inspections. The Nursing Home Guide also includes a Watch List, which identifies nursing homes that are operating under bankruptcy protection or met the criteria for a conditional status during the past 30 months. A conditional status indicates that a facility did not meet, or correct upon follow-up, minimum standards at the time of an inspection. Immediate action is taken if a facility poses a threat to resident health or safety. Under Florida law, nursing homes have a right to challenge state sanctions. Facilities challenging a conditional license are noted as under Appeal. The website also offers Health Care Facility and Provider Inspection Reports which links to copies of regular inspection and complaint inspection reports of Florida facilities. The Federal Centers for Medicare and Medicaid Services also publishes a Nursing Home Compare web site that provides additional information to compare nursing homes in Florida and the nation. Once in a facility it is important to monitor our loved ones to make sure they are getting the level of care they deserve. The biggest problems that I have seen over the years are falls and bedsores. If a resident has a history of falls it is important that fall precautions are in place so that if they do fall they will not get injured. The other big problem is bedsores. Many facilities will simply leave a resident in a bed or wheelchair for most of the day, which then leads to bedsores. Do not let someone at a facility tell you that bedsores are inevitable. Bedsores are the direct result of poor care. If you discover a physical injury on your loved one chances are it is the result of abuse and should always be investigated further. Start by talking to the resident to find out what happened but do not stop there. Also speak to the attending nurse and assistant nurse. Did they know about the injury? Did they document the injury? Did they report the injury to the family? See what the staff supervisor knows, question the attending physician and insist on inspecting the resident’s medical chart. The other big problem in facilities is simply neglect or the failure to provide adequate health care. This can include the failure to provide sufficient food and water, proper medication administration or the failure to follow doctor’s orders. It can also include the failure to properly assist the resident who needs help bathing, eating, walking, etc, and verbal abuse. It is also includes the failure to monitor the resident to keep them free from harm. Your loved one may be reluctant to talk about these issues, therefore you should keep your eyes and ears open for signs of neglect. Make sure the bathroom is clean, check for odors in the bed and on your loved one’s clothing, check the condition of the hair and nails to make sure they are clean. Pay attention to how your friend or relative reacts to you, ie; do they seem to be depressed, does someone who used to be talkative now sits around with nothing to say, has there been an unexplained weight loss? These types of signs are not definite indications of abuse, but they should cause you to investigate the situation carefully. I have more than 10 years experience in elder abuse cases. I have successfully gone to trial against some of the biggest elder care facilities in the country. If you suspect your loved one may not be getting the care they need or is victim to physical abuse contact me immediately.